Community colleges are used to declining enrollments when the economy is strong and unemployment is low. But some researchers are warning colleges that future declines are only expected to get worse amid cuts in state funding and more pressure on institutions to produce measurable outcomes. Two-year colleges have been coping with declining enrollments since around 2010, when the Great Recession ended and the national unemployment rate began falling from about 10 percent to around 5 percent today. But when researchers project demographic information to 2025, the declines become sharper. For instance, the Western Interstate Commission for Higher Education projects the number of high school graduates to remain flat from now until 2023, with a slight increase, followed by a dramatic decrease, after 2025 from about 3.5 million graduates per year to about three million. EAB’s analysis of these projections shows that the population of high school students has been declining in some regions since 2013. For instance, New England will see a 10 percent decrease in high school graduates from 2013 to 2023. 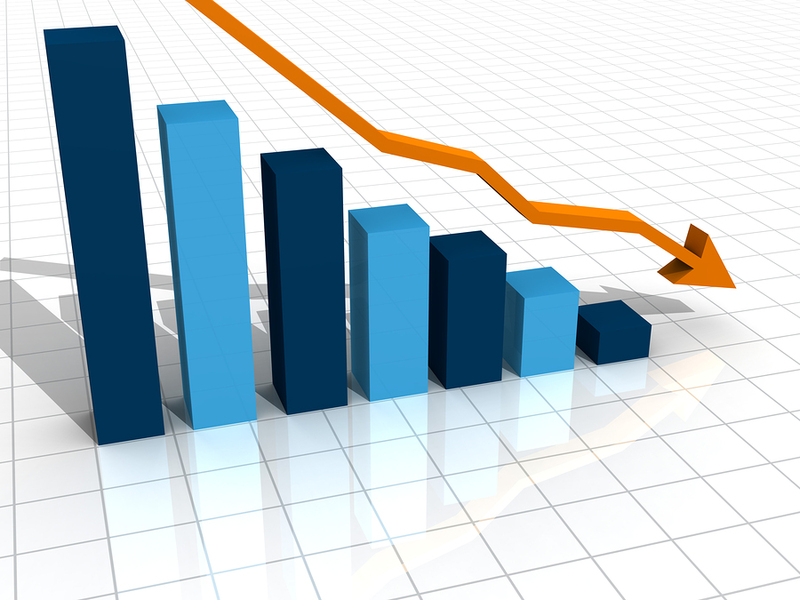 The Midwest, Mid-Atlantic and Pacific Coast regions are all showing declines. Numbers of graduates in southern states remain flat. States such as Texas, Utah and Idaho will see increases in high school graduates as those states see population growth from people moving into those areas. There are essentially two trends community colleges should consider, said Larisa Hussak, a senior analyst with the Community College Executive Forum at EAB. The first is the trend of adult learners aged 25 and older enrolling in college, which is a largely countercyclical trend. “When the economy is really good, they leave higher education and go back to the work force,” she said of adult students, adding that EAB’s projections show adult education will continue declining. Hussak said the second trend concerns projections showing that the population of traditional-age college students — 18- to 22-year-olds — will be much smaller beginning in 2025 because birth rates were lower during the recession. The impact on two-year colleges will be felt once those students are in their 20s, she said. More than half of community college students are 22 years old or older. As a result, many colleges won’t initially see the decline in students born during the recession because they typically don’t enroll in college until their midtwenties. Many experts and educators who’ve weathered the ups and downs of community college enrollments in the past have been adjusting and learning not just how to manage current declines but how to prepare and protect their institutions from future declines. “There is an advantage the community college sector has and it’s that we probably are the most resilient of the higher education sectors,” said Sandra Kurtinitis, president of the Community College of Baltimore County. In 2009, during the recession, the Community College of Baltimore County saw enrollment peak at about 72,000 students. Today enrollment is closer to 62,000. In the last five years, the college has made a series of changes that have saved about $43 million. For instance, carports on the campus use solar energy, food service has been contracted out and last year the college partnered with Barnes & Noble to manage its bookstores. Kurtinitis said a new proposal to be announced this week will bring in a vendor to take over the college’s childcare centers, which could save up to $300,000 a year. It’s not just the number of students that will have an impact on colleges — community colleges are also facing additional pressure from state and federal legislators to improve graduation and completion rates and increase the number of students transferring to four-year institutions. “We don’t have the enrollment to support program generation,” Hubbard said, adding that despite lower enrollment the colleges will be expected to deliver the same level or more in liberal arts and work-force training, but with less money. Kurtinitis points to a change made by the Maryland Legislature two years ago that granted free community college tuition and fees to young people living in unique circumstances such as foster care, or who are the children of deceased public servants. But there are also legislative policy issues that have affected enrollment, Kurtinitis said. She points to a 2012 policy change in the Pell Grant program that lowered the required income threshold for the federal financial aid program and decreased the number of low-income students that automatically qualified. Meanwhile, Hubbard said, the students who will be entering college in coming years are expected to be less academically prepared and at risk of dropping out or not earning degrees. Students from underserved and minority communities are enrolling at higher rates. According to the American Association of Community Colleges, the percentage of first-time community college students who identified as Hispanic increased from 13 percent in 2001 to 26 percent in 2016. The population of black first-time students during that same time period has remained flat, while the percentage of white first-time students has declined from 61 percent to about 44 percent. One other significant growth area for community colleges is enrollment by students under 18 years old. The Community College Research Center at Columbia University’s Teachers College estimates that the number of students aged 17 or younger enrolled in community college courses increased from 163,000 in 1995 to 745,000 in 2015. Funding for high school students at community colleges varies by state, county and even local municipalities. And many colleges get no funding support for those students, Phillippe said. Hubbard said that the problem wouldn’t be as pronounced if community colleges were serving dual-enrollment students who were matriculating into their colleges, but most dual-enrollment students go on to four-year universities instead of community colleges. CCRC estimates anywhere from 30 to 47 percent of former dual-enrollment students first enrolled at a community college after high school. So, if getting new students will become increasingly challenging for colleges, Hubbard and Phillippe said, retaining and focusing on the students who have already chosen to go to college should be the focus. EAB found that out of 100 students who apply to a two-year college, 56 are lost during onboarding, 23 drop out and just five are still enrolled after six years. Only nine of the 100 complete an associate degree and seven complete a bachelor’s degree. Onboarding begins from the moment a student completes an application to when they take placement tests, apply for financial aid, complete orientation and register for classes. “It’s a lot easier to engage folks who are already enrolled,” Hussak said.